We provide a wide range of appointment times including times outside normal office hours. Appointments can be booked up to six weeks in advance with a Doctor or Nurse. You can also have a telephone consultation with a Doctor. Please note that appointments are 15 minutes long and are for one patient only. We politely request that patients stick to one problem per appointment. Patients presenting several problems at the same appointment cause inevitable delay to the patients booked in after them and may cause the doctor to be less thorough due to pressure of time. We offer a double appointment for all patients aged 85 and over. Book online via Patient Access or call on 01706 253300. The phone lines are open during normal opening hours Mon to Friday 8:00am to 6:30pm. 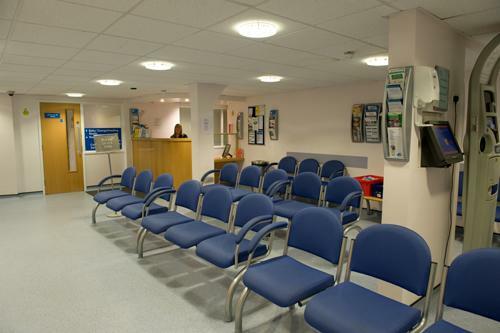 Your request for an appointment will be dealt with by one of our trained reception staff who will ask some questions to help you to make an appointment with the appropriate clinician or service. You may request to see any doctor, and we do encourage you to follow through your current health problem with the same doctor where possible. Normally, you will be offered the earliest appointment with the doctor of your choice. If the doctor is fully booked, we will try to offer you an earlier appointment with another doctor. If you feel you need to be seen URGENTLY, please tell the receptionist and we will arrange for the duty doctor to contact you on the same day. Please cancel your appointment either online or by phoning 01706 253300. Cancelled appointments can be offered to other patients so please let us know as soon as possible. Appointments wasted by non-attenders are an expensive use of your doctor’s time. Your co-operation in this matter is appreciated. Extra GP and nurse appointments are also now available through our practice, click on the link below for details.